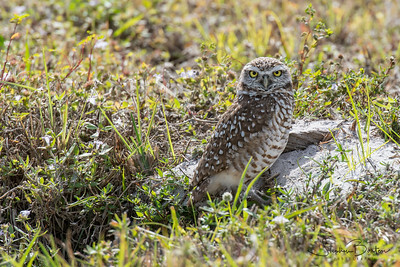 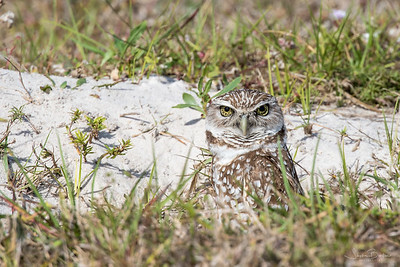 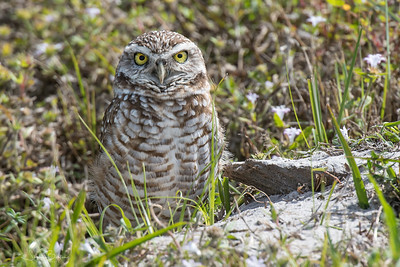 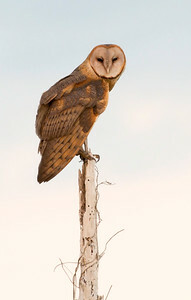 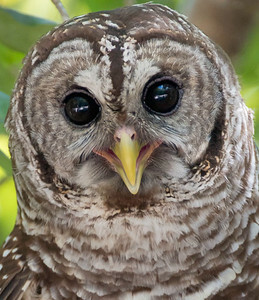 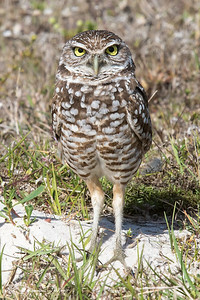 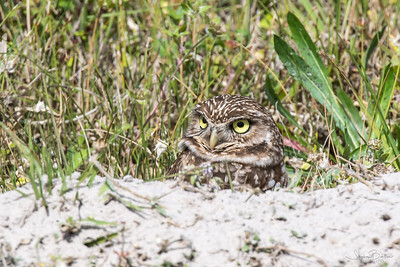 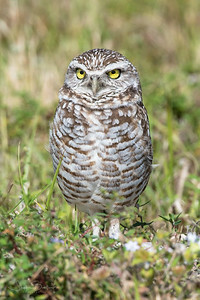 Cape Coral and Marco Island populations have a number of owls with mottled to almost black irises, rather than the usual bright yellow, due to a genetic mutation in the population. 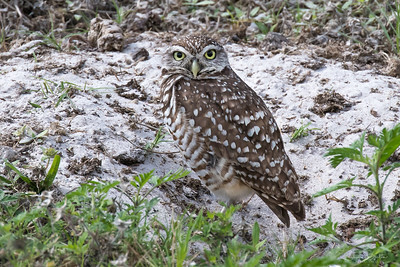 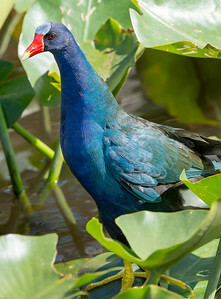 Just outside Flamingo in the park. 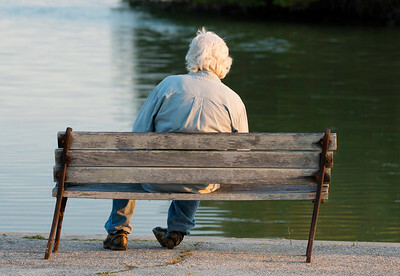 Who sat on a crooked bench. 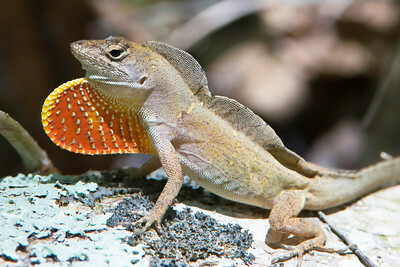 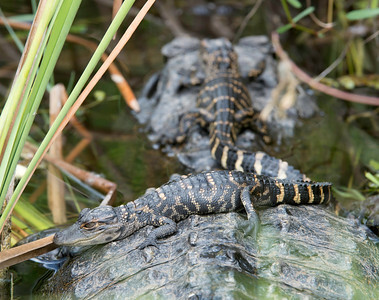 Mom will look out for them. 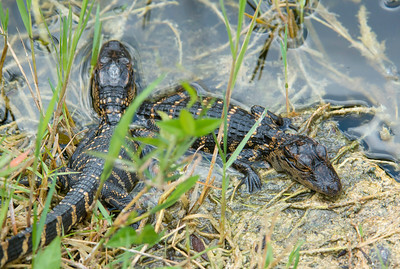 Baby gators basking in safety with mom a few feet away. 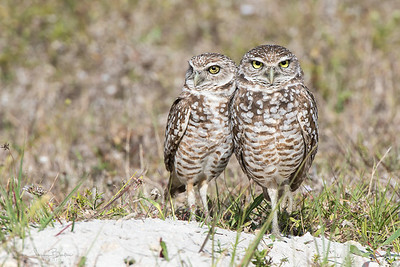 Teenagers are always hanging out. 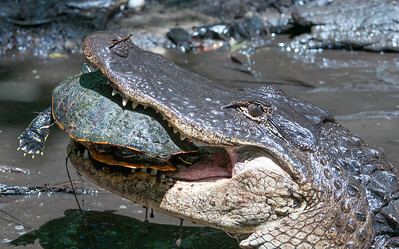 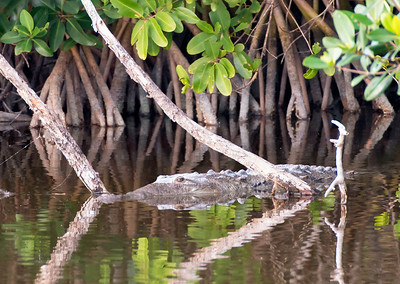 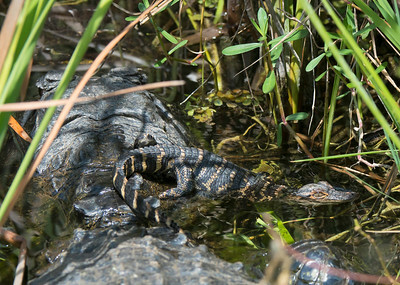 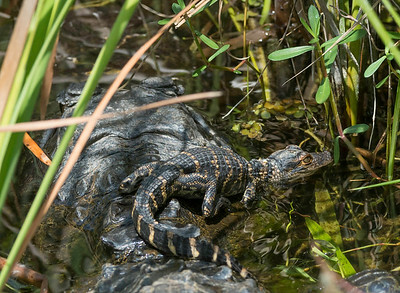 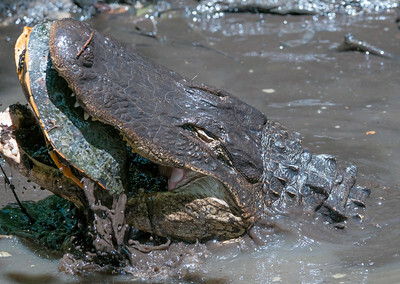 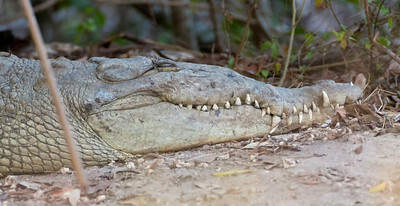 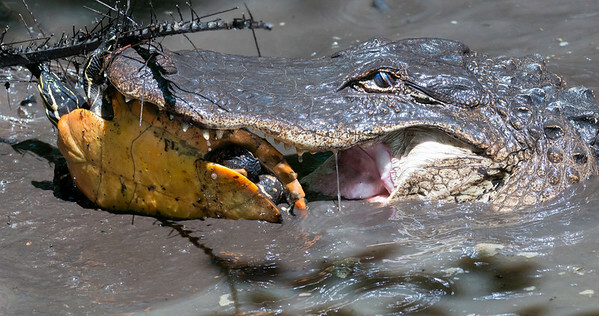 It's uncommon to see an American Crocodile and American Alligator together. 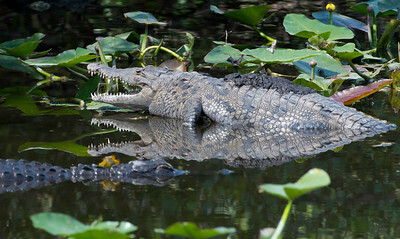 Shark Valley. 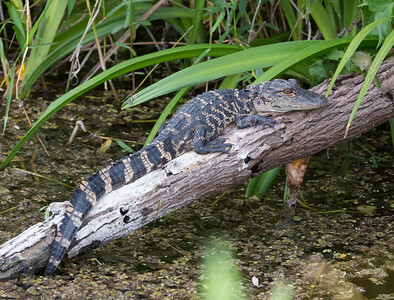 We totally discounted this 9-foot, smooth log as nothing of interest until a boy with binocs exclaimed, "It's got a pattern!" 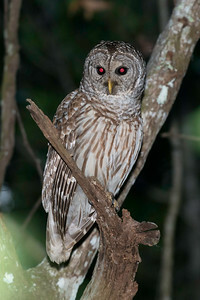 Barred Owl eyes reflecting the light of a flashlight. 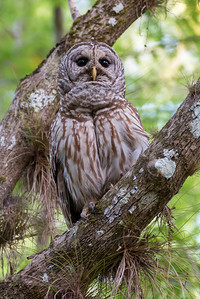 This Barred Owl was out in broad daylight. 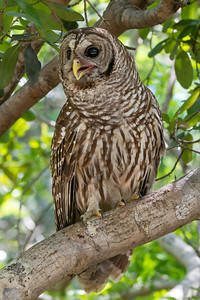 Barred Owl is the only owl in the east with dark eyes.